It is crap like this, that threatens the unity of this country. The government is still supposed to represent the will of the people. (yes…..the will of the people. I voted and so far the "will of the people" is 97%) How in the world did Obama find this idiot for an Attorney General? Attorney General, Eric Holder, has already said this is one of his major issues. He does not believe the 2nd Amendment gives individuals the right to bear arms. This takes literally 2 clicks to complete. Please vote on this gun issue question with USA Today. It will only take a few seconds of your time. Then pass the link on to all the pro gun folks you know. Hopefully these results will be published later this month. This upcoming year will become critical for gun owners with the Supreme Court’s accepting the District of Columbia case against the right for individuals to bear arms. The Question is: "Does the Second Amendment give individuals the right to bear arms?" Click on the link below and PLEASE vote Yes! The strongest reason for the people to retain the right to keep and bear arms is…as a last resort, to protect themselves against tyranny in government. Democracy will cease to exist when you take away from those who are willing to work and give to those who would not. I THINK THIS GUY HAS IT ALL COVERED. I COULDN’T SPOT ANYTHING HE LEFT OUT. Amen to this, I can’t think of a thing I’d change about this statement. I Am the Democratic Liberal-Progressive’s Worst Nightmare. I am a White, Conservative, Tax-Paying, American Veteran, Gun Owning Biker. I am a Master leatherworker. I work hard and long hours with my hands to earn a living. I believe in God and the freedom of religion, but I don’t push it on others. products and buy them whenever I can. I believe the money I make belongs to me and not some liberal governmental functionary, Democratic or Republican, that wants to share it with others who don’t work! I believe if you don’t like the way things are here, go back to where you came from and change your own country! This is AMERICA …We like it the way it is and more so the way it was …so stop trying to change it to look like Russia or China , or some other socialist country! If you were born here and don’t like it… you are free to move to any Socialist country that will have you. (And take Barack Hussein Obama and his group with you.) Massachusetts started the ball rolling. Keep it going. I also think the cops have the right to pull you over if you’re breaking the law, regardless of what color you are, but not just because you happen to ride a bike. And, no, I don’t mind having my face shown on my driver’s license. I think it’s good…. And I’m proud that ‘God’ is written on my money.. I dislike those people standing in the intersections trying to sell me stuff or trying to guilt me into making ‘donations’ to their cause…. Get a job and do your part to support yourself and your family! I believe that it doesn’t take a village to raise a child, it takes two parents…. I believe the American flag should be the only one allowed in AMERICA ! If this makes me a BAD American, then yes, I’m a BAD American. If you are a BAD American too, please forward this to everyone you know…. I hope this offends all illegal aliens. My great, great, great, great grandfather watched and bled as his friends died in the Revolution & the War of 1812. My great, great, great grandfather watched as his friends died in the Mexican American War. My great, great grandfather watched as his friends & brothers died in the Civil War. My great grandfather watched as his friends died in the Spanish-American War. My grandfather watched as his friends died in WW I. My father watched as his friends died in WW II. I watched as my friends died in Vietnam, Panama & Desert Storm. My son watched & bled as his friends died in Afghanistan and Iraq . None of them died for the Mexican Flag. Everyone died for the American flag. Texas high school students raised a Mexican flag on a school flag pole, other students took it down. Guess who was expelled…the students who took it down. We’ve bent over to appease the America-haters long enough. I’m taking a stand. If you agree, stand up with me. If you disagree, please let me know. I will gladly remove you from my e-mail list. AMERICANS, stop giving away Your RIGHTS ! Let me make this clear! THIS IS MY COUNTRY ! This statement DOES NOT mean I’m against immigration ! 2. Learn the LANGUAGE, as immigrants have in the past ! 6. No Social Security until you have earned it and Paid for it ! If you don’t want to forward this for fear of offending someone, then YOU’RE PART OF THE PROBLEM ! We’ve gone so far the other way . . . bent over backwards not to offend anyone. Only AMERICANS seems to care when American Citizens are being offended ! WAKE UP America ! ! ! If you do not Pass this on, may your fingers cramp ! 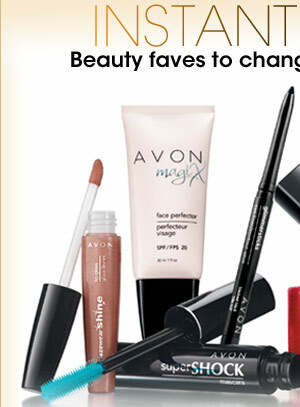 Please remember to add Avon (Avon) to your address book to continue receiving my emails in your mailbox. If you cannot view this email, please click here. *FREE STANDARD SHIPPING available for any domestic shipping address. Hawaii and Alaska will be charged $15 surcharge for any hazardous materials such as nail enamel, fragrance, aerosols and some skin cleansers. Offer does not apply to Next-Day or Express Shipping methods. Offer valid only for orders submitted through the website with direct delivery shipping. 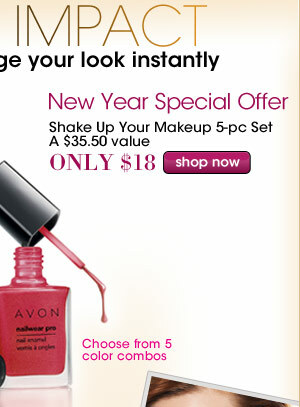 Please note, Avon does not ship Internationally or to the Islands. Avon, 1251 Avenue of the Americas, NY, NY 10020 If you would prefer not to receive emails from Avon, please click here to manage your profile.